The first term deposit rate reductions by a major bank in 2019 are upon us. ASB has trimmed five basis points off its four-month rate, its 18-month rate and its two-year rate. It has cut 10 basis points from its three-year rate offer. And it has shed 15 basis points from its four year and five year rate offers. After these changes ASB is still broadly competitive in rate terms of less than one-year, but is exposed at the important one-year mark. All its main rivals offer higher one year rates, with BNZ offering as much as 20 basis points more. By this move, ASB will be hoping that its main rivals follow its move down, otherwise ASB will start to feel exposed. Fixed mortgage rates have been declining possibly putting pressure on bank net interest margins (NIMs). Even for banks that haven't dropped their carded mortgage rate offers, they may still feel under market pressure to match those that have reduced. Wholesale rates have also been falling, especially for two years and less. In fact, wholesale rates at the new current levels are at or near record all-time lows. Most banks don't use wholesale funding much, but the big banks do with about 20% of their overall funding from that source. (Most funding is from customer deposits.) One bank, however, is substantially wholesale funded and that is HSBC and it's setting the floor in the fixed rate mortgage market. HSBC may be a minnow in New Zealand (0.7% market share) but its headline rate is somewhat influential across the whole mortgage market, and a driver of the perceived pressure on bank NIMs. But in ASB's case, its net interest margin is generally higher than its rivals, according to data in the RBNZ Dashboard. Wednesday's KPMG FIPS review shows New Zealand banks have posted their highest profits and lowest funding costs in the 32-year history of the annual FIPS review. None of this bolsters bank arguments that they are under meaningful margin pressure. KPMG says the banking sector's annual net interest margin rose four basis points to 2.12%, and its return on equity increased 46 basis points to 14.88%. 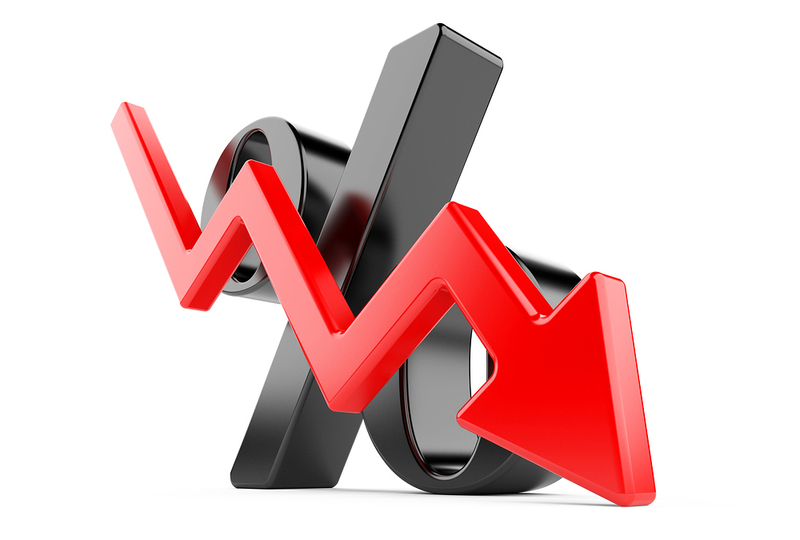 The cost-to-income ratio dropped 166 basis points to 37.95%. In ASB's latest financials to December 31, 2018 the bank reported a net interest margin up 1 basis point to 2.21%, although it is down 6 basis points from June 2018. (See page 63 of parent Commonwealth Bank of Australia's commentary on ASB.) It will be hard for ASB to argue that margin pressure is behind today's term deposit rate reductions. But they have dropped these TD rates anyway. The updated rates in the table below are the highest offered by each institution for the terms listed. You however will need to check how often interest is credited or paid. That important factor is not filtered in the above table and rates with various interest payment/credit arrangements are mixed here. However, our full tables do disclose the offer basis. Our unique term deposit calculator can help quantify what each offer will net you. All carded, or advertised, term deposit rates for all financial institutions for terms of less than one year are here, and for terms of one-to-five years are here. Term PIE rates are here. The latest headline rate offers are in this table. The '30 days %' chart will be drawn here. The '90 days %' chart will be drawn here. The ' 5 years %' chart will be drawn here.
" but is exposed at the important one-year mark" As Vittoria hinted the other day, if you're going to lend less, you don't need to borrow as much. Re: Ausi Royal Commission: As if you'd believed what happens in Ausi doesn't happen here! Probably worse. is there any inflation left in the system, outside the non tradable sector? To illustrate share trader's point, earn 3.5% from bank deposit - pay 33% tax (- 1.16%) - 2% inflation = you earn a grand total of 0.34% = earn less than $1/day for every $100'000 deposited !!! banks and professional investors are buying NZ government 10 bonds at %2.14 . 14.5 basis points above inflation, because they see nothing better on the horizon. It should really worry you because it's signalling no growth. Japanese disaster coming our way. The inflation is all in the non-tradable sector. Well said Andrewj :) It signals the next shock is likely to bring with it, unstoppable deflation. Alternatively, given that our banks source almost 80% of their funding from domestic term deposits, I'd say, inflation is not an issue for the cashed up ones whose position is clearly envied by you. Not everyone pays 33% tax on their deposits. Its my sole income source so I pay way less than that. Also I don't really care about inflation unless we suddenly become Venezuela overnight. Money is money. I do however have a question for you out there. Say I had bought a house in Venuzula for say $1M years ago and had a big Mortgage on it. Now inflation is running at millions of a percent, if you still had a job over there and got paid with wads of notes that had 10 zeros on each, it would take you about a week to pay off that mortgage now right ? You couldn't afford to increase your mortgage payments as you might not be able to afford food by the afternoon. In fact with high inflation it's better to pay your mortgage as slowly as possible. That allows you to maximise the devaluing of the mortgage principle. What would a mortgage interest rate be in a million percent inflation environment? Yet another example of salary earners in NZ getting shafted up the bum with taxes taxes and more taxes. Yet baby farmers, pensioners and landlords get off with a wet lettuce leaf.